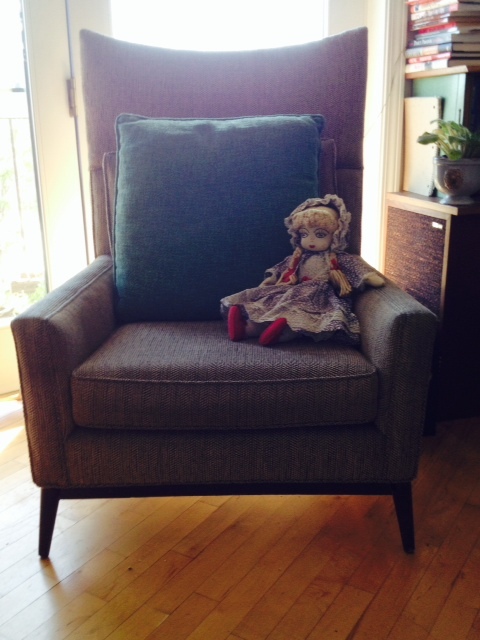 Goldilocks can help you face your challenges, will you let her? What’s the story? Today’s headlines continue to be filled with a persistent recurring behavior symptomatic of leadership failures. Most of us are familiar with storybook tales and parables that remind us of particular lessons. No one wants to be The boy who cried wolf. Cinderella teaches us not to give up hope, and I’m sure you have an equally simple take away for the story of Goldilocks, aka the story of the three bears. Have you considered using simple stories, and in particular the tale of Goldilocks, to lead differently? I’m actually heartened by Mary T. Barra, because I think she gets this lesson. Today’s New York Times report on the ignition switch investigation suggests that unlike her predecessors, she pursued a different approach. This stands in sharp contrast to last week’s New York Times story Business school Disrupted where Jerry Useem offers a glimpse into Harvard Business school‘s decision-making around digital, online education. How IS it possible that one of the most premier academic institutions in the world–with articulate thought leaders on key business issues related to Strategy, Disruption and Innovation– continue to cling to their old ways, unable to effectively transform themselves? I’m not interested in their offering per se. Their decision options resemble those of Fortune 500 business leaders when surveyed. They find it difficult to pursue a path toward transformation, though failing to try, often cripples their organization’s ability to sustain value and/or their competitive advantage. I see the decision dilemma as actually two stories. One, the tale of a lizard, or chameleon, and the second the universal tale of Goldilocks. Steve Jobs, from what I’ve read, understood how to lead like a chameleon. By association the story of Apple throughout its tumultuous history can easily be interpreted as a lizard’s tale. Academics, however like many cogent, intelligent thought leaders resemble Goldilocks. Their training, the PhD process itself promotes competition, neither intentional antagonism or collaboration. Individual researchers training emphasizes objectivity, perhaps fearlessness, definitely curiosity. Still academics produce results relative to existing thought using an established process. These predictable outcomes rarely achieve or encourage breakthroughs in understanding. Occasionally, this process model when most forcefully applied manages to create disruption in existing domains. Leaders in these established environments rely on orderliness, offsite planning and reflective discourse. Failure to challenge their process makes them vulnerable to outside breaches that create havoc at multiple levels within their hallowed institutions and the underlying operating models their continued existence depends. Basic physics teaches that a body at rest stays at rest. This lesson exemplifies the impact of complacency and comfort, and the necessity to avoid them at ALL costs. Adaptation came easily for Steve Jobs , though in many ways he also behaved like a Goldilocks. Constantly moving and sampling new things until he seized on an idea that resonated with his core principles—simplicity , quality and durability, as in built-to-last. His passion for these principles when wrapped around an idea supported peer learning that enabled development of a powerful culture that made his ideas tangible. 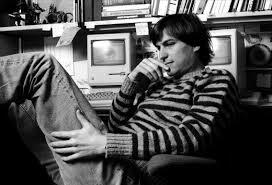 The Steve Jobs in Walter Isaacson’s book both hungered for new ideas, and was steadfast in his resilience. These qualities resemble chameleons, making it possible to adapt quickly to subtle changes happening in their environment. These thick-skinned qualities made him tough, capable of weathering transitions and nurturing— both necessary to support transformation and sufficient to support sustainability. The verdict remains out for Apple itself. Goldilocks adapts too. She makes do with what she finds but she herself never undergoes any transition. She changes her environment, it doesn’t change her. Her existence also depends on encounters with normally distributed choices. The variance around the norm makes her choices rational and predictable. This may explain why her innocence makes us lose sight of the disturbances she leaves behind. I don’t know what personality profile Goldilocks fits exactly. It’s why I believe today’s popular assessment tools used by many companies in their hiring practices to find cultural fit ultimately don’t matter. How exactly do profiles help an organization survive? Leaders who worry about identifying Goldilocks may be missing what I find to be the more critical perspective in the story. Personally, I think on some level, each of us behaves like Goldilocks. We are often unaware of how our choices create a wake or disturb the system for those who follow. We prefer to limit the number of choices. Fewer options allow us to focus and ultimately find the points of contrast most relevant, or good enough for us now. Once we make the choice, we can keep going, gain additional experience and be ready for the next opportunity we meet. Goldilocks always finds a suitable, generally satisfying choice after sampling all of them. What would she do in a complex situation where the choices exceed her ability to sample? The absent inhabitants of her found environment don’t stop her from seizing the opportunity or indulging her curiosity. Why doesn’t she hesitate or allow uncertainty to get in her way? When the Bears do return, Goldilocks flees and the narrative ends. Of course, our experiences allow us to imagine the internal voices that often stop us from pursuing what we recognize could create difficulties for others. A verbal exchange of assumptions often proves surprising and reveals greater diversity in perspective than any of us imagine. These behaviors Leaders need to cultivate and question when presented with Goldilocks canned results. Ask Mary T. Barra if the risks were worth the time her predecessors saved shutting down alternative thoughts, questions left unspoken and open issues under examined? Does complacency in your process overrule critical thinking and exchange among peers of diverse perspectives? Should PhDs be reviewed only by the experts in their own domain? What are the principles that every report and process should adhere? The challenge for management and leadership isn’t to isolate Goldilocks, but to encourage and nurture transformations and mindfulness .